Drones are expensive toys and important equipment for businessmen, you can’t afford to get them wet. Water and an electronic device don’t mix well with each other, so it is unlikely that an operator will fly near water. But as we all know, accidents do happen and they cost a lot of money. Here is your ultimate guide to properly handling water-damaged drone. No matter how hard you try to avoid losing your drone or prevent it from flying too far away, sometimes, they end up someplace you don’t want it to be—like the scary waters. And you can’t afford to just let such a precious device go to waste. They’re more than just a toy, after all. When handling water-damaged drone, there are a lot of things to consider and remember. This doesn’t concern drones; it is for you. Don’t jump in water just to save a bundle of electronics. Don’t think about investment, you could be endangering your life. Spend short time to think about possible ways to retrieve it safely, or recover only if it’s worth it. When your drone hits water, there is a possibility that electronic speed controllers (ESCs) will blow. One is connected with each motor, and sometimes, it is integrated into them. Quickly switch off power and remove battery. If there isn’t a separate on/off switch on your drone, then just take out the battery. See if batteries are damaged, and if they are, put them somewhere safe. If you have the option not to, then don’t, but if you really have to fly near water, then pre-check the aircraft and area where you want to fly. Insert a fresh pair of batteries and don’t allow a margin of error when bringing it back. Your drone may have to battle a strong wind when it returns home. If batteries are at low or critical stage then it will land on the water. If you want to avoid it, make sure to check everything before flying. Consider this a universal rule. 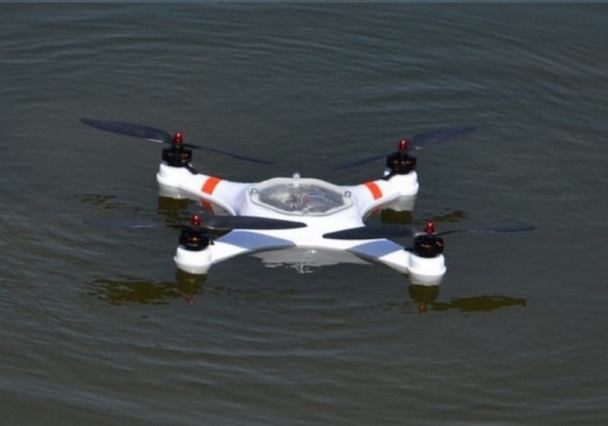 As much as you can help it, avoid drone crashes into salt water. There are corrosive and conductive elements in salt water that can harm your drone. In case you accidentally drop it, dunk into fresh water and rinse it. Distilled water doesn’t have chemicals in it, so it is preferred. Fresh water is much better than salt water—even tap water might have some chemicals. Use a cloth to dry water from exterior and check if there is water on it. Drone motors aren’t affected by water because they are brushless and mainly rely on magnets rather than brushes and commutator. If you have warranty, there is nothing you can do except putting it in a warm and dry place until you can send it to the supplier. 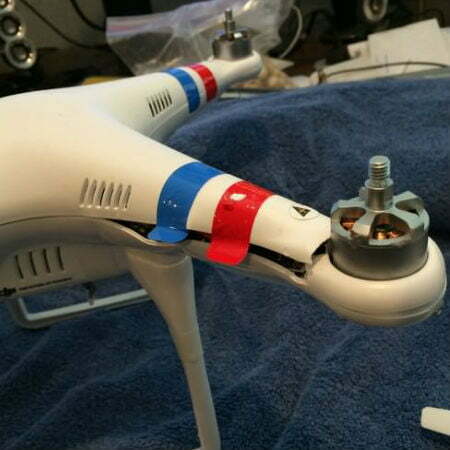 Don’t unscrew the top of your drone, your warranty will be nullified. If you think the crash was due to a fault, then supplier will look into your log and see if there was product failure or pilot error. There have been many attempts to make drones waterproof with the help of Liquipel, a system used for tablets and mobiles. There isn’t a definite evidence, but many videos on the Internet claim it is successful.